LONDON (CNN) - The auction house says it didn't know anything about it. The artist famously doesn't like to show his face. The buyer is a mystery. So, for that matter, is the seller. In the case of the "self-destructing Banksy," nothing adds up. The startling stunt at Sotheby's in London on Friday has set the art world aflame. The image of a girl reaching out for a red, heart-shaped balloon had just sold for $1.4 million. Moments later, a shredder hidden inside the picture frame began to whirr, the canvas slid down, and at least part of it ended up in strips. Sotheby's claimed it had been "Banksy'd." The British street artist, famous for being faceless, is certainly well known for his stunts. In 2006 he secretly erected a life-size replica of a hooded Guantanamo Bay detainee inside a ride in the California Disneyland theme park. In 2013 he set up a stall selling his original artwork for $60 in a New York market and filmed people passing by, convinced that because of the price, the works were fake. On Saturday, Banksy published a video on Instagram that purported to show how he built a paper shredder into the frame of the 2006 painting "Girl with a Balloon." "The urge to destroy is also a creative urge," Banksy wrote, citing Picasso. But the video didn't answer everyone's questions -- not least about the involvement of the auction house. "I wouldn't put it past Banksy to have staged the whole thing, and I wouldn't put it past him to have pulled this off without anyone being on it," Brooklyn based street art curator RJ Rushmore told CNN. "But whatever the 'truth' is doesn't change the performance for me." 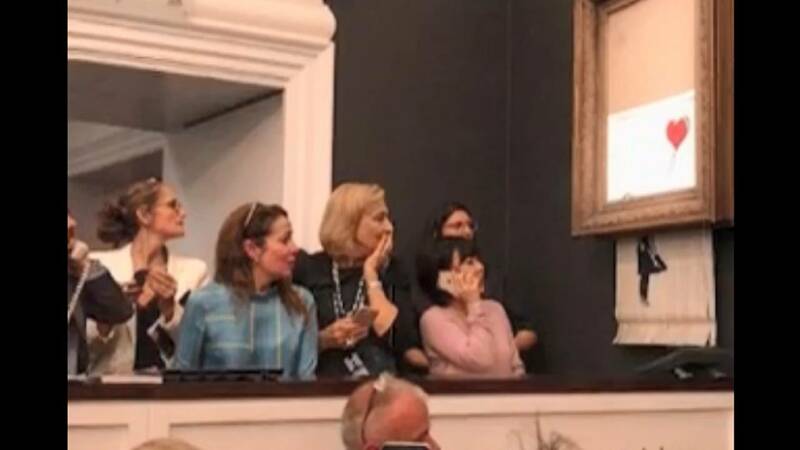 Was Banksy in the room during the auction? There is speculation that Banksy, who has kept his identity hidden for more than 20 years, may have been in the room at the time of the sale, possibly overseeing the whole performance while filming on his phone. Footage circulating on the internet shows a middle-aged man, wearing thick-rimmed black glasses, filming the moment when the picture is shredded. Shortly after, a man is seen being escorted out of the room. In 2016, scientists at Queen Mary's University in London used geographic profiling, based on the artist's movements, to identify him as a man called Robin Gunningham. The authors conceded that their study fell short of definitive proof. The man spotted at Friday's auction bears similarities to Gunningham, leaving internet and art sleuths to suggest it was him. Banksy is known for having tight-lipped collaborators who work with him, and it is also possible he had people placed in the room to record the event. Erika Rossi, a gallery owner from Italy, who was at the auction, said there was a young man who had been diligently filming throughout who sat in front of her. She also saw a man "arguing with security" after the auction had finished. According to the Sotheby's catalogue, the painting had been "acquired directly from the artist by the present owner in 2006." It then said it had been given as a gift. Is it really credible that Banksy would give the painting away with an embedded, remote-controlled, battery-operated shredder, that would activate 12 years later? At the very least, wouldn't the battery have gone flat? Commentators also pointed out that Sotheby's staff casually remove the painting after it had acted so strangely. Weren't they afraid of sharp blades reactivating, or of it exploding? In addition, the frame was extremely thick and the shredder would have added weight. Weren't they curious as to why it was so heavy? In a statement, Sotheby's said, "It is increasingly common in the contemporary art world for artists to deem their frames integral to the artwork, as was the case in this instance. The certificate from the artist's studio for the present work states that the frame is 'integral to the piece.'" "When Sotheby's asked the studio about removing the work from its frame during the cataloguing process, we were expressly told not to remove the frame. This is not unusual -- consider Lucio Fontana's lacquer frames, or George Condo's frames that include labels on the back saying do not remove from frame. In many cases, if you remove the frame you violate the artist's wishes and destroy the artwork," the statement added. Experts also wondered why the marquee work was the final lot in the sale. Ordinarily, such a high-profile sale would have come higher up in the running order. "The big question is -- was Sotheby's complicit," asks Anny Shaw, correspondent for the Art Newspaper, who was in the room for the sale. "Are these signs that they knew? The lower estimate, putting the lot at the very end of the auction." 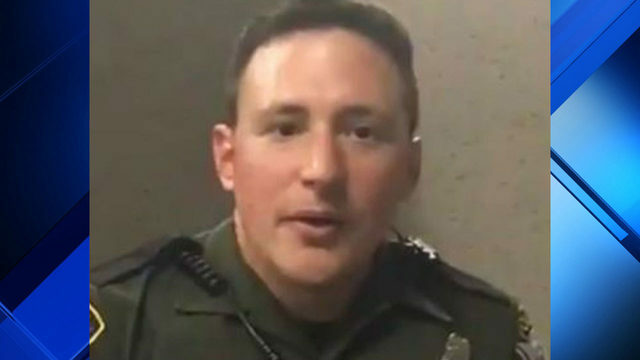 "If they weren't in on it, this probably one of the best art pranks of the century," Shaw told CNN. "Banksy has really pulled off a corker. If they were in on it, it raises all sorts of questions about the manipulation of the market and it dilutes Banksy's brand. I'd be really disappointed if that's the case." Sotheby's insists it had no idea about the stunt. "We had no prior knowledge of this event and were not in any way involved," Sotheby's said. Will the painting go up or down in value? One thing is for sure, the painting may be "damaged" but the art event will go down in art history, and the price may soar as a result. "I'm unsure if the painting is going to be more valuable or less valuable, but it is definitely going to be his most famous," Banksy's former gallery owner Steve Lazarides told CNN. "You could argue that the work is now more valuable," said Alex Branczik, Sotheby's head of contemporary art, Europe. "It's certainly the first work to be spontaneously shredded as an auction ends." Sotheby's said it was talking to the seller, "who was surprised about the story," about how to proceed. "Millionaire sells a painting for a million to other millionaires then destroys it," wrote fellow street artist and Banksy friend Ben Eine, known globally for his bold letters, in an Instagram post. "You are going to have to explain this one to me?!?"